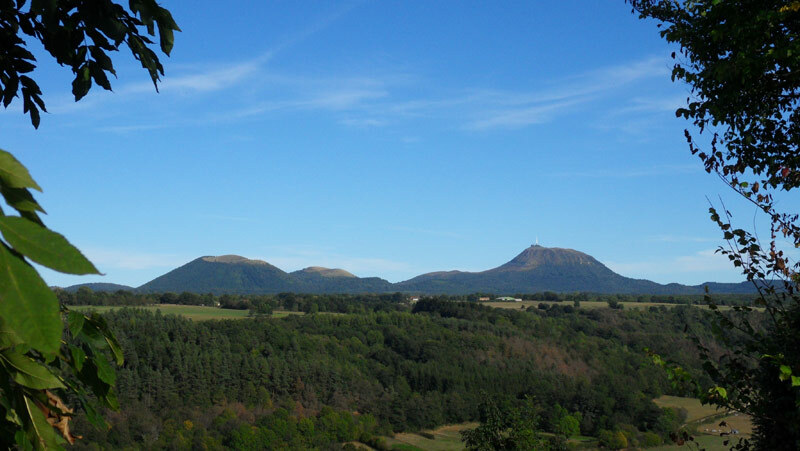 The Volcanoes Park of Auvergne was shaped by volcano eruptions 95000 years ago. 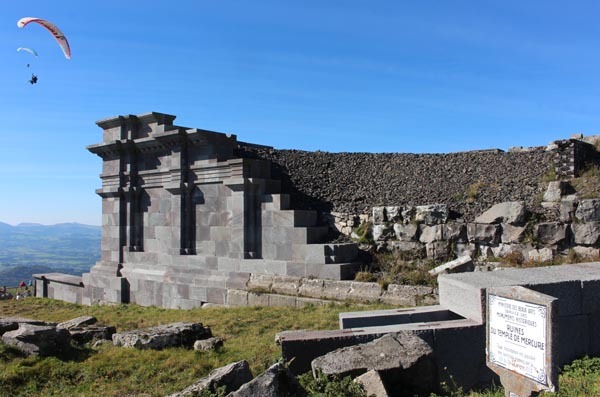 Today, they are extinct: You can explore these wonderful sites without any danger. 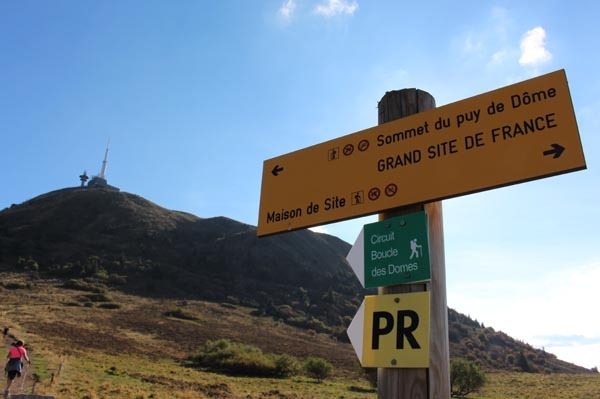 To the north : The Monts-Dôme with the iconic 1464 meters Puy de Dôme overlooks the chain of Puys (mountains) of which the magnificent crater of Pariou, the Puys de la Vache and Lassolas, extinct for 8000 years. 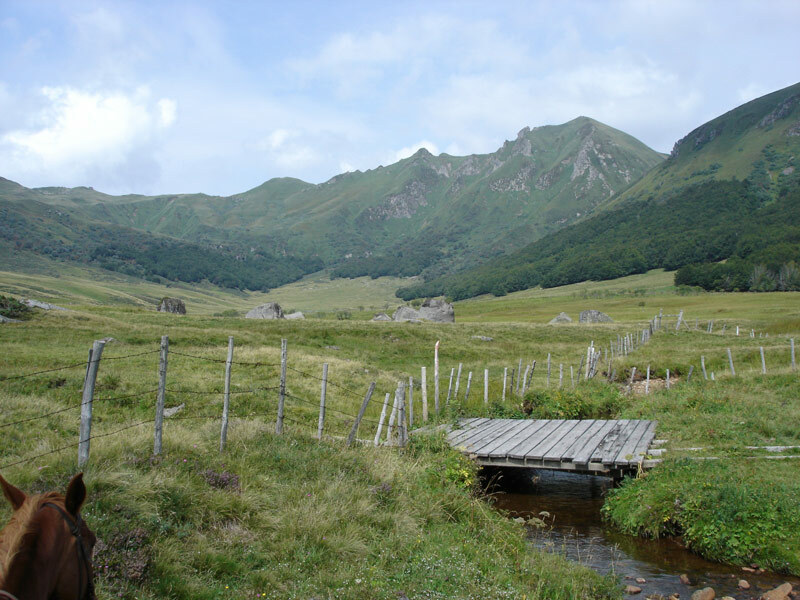 To the center : The Monts Dore with the highest peak of Auvergne: The Puy de Sancy. 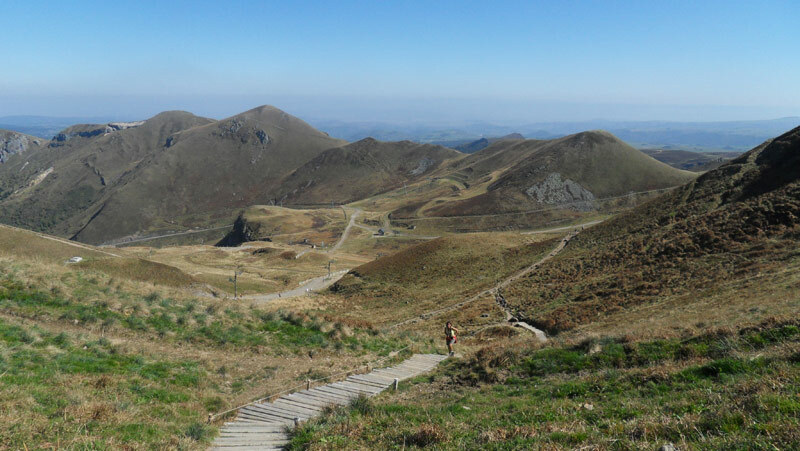 Other beautiful views: The Banne Ordanche, The Capucin and Le chemin des crêtes (The Mountain Trail). You can also visit La Vallée de la Fontaine Sale (the Valley of the salted fountain), Chaudefour Valley and Le Val de Courre. West of the Monts-Dore on the Plateau d’Artense is situated the campsite. 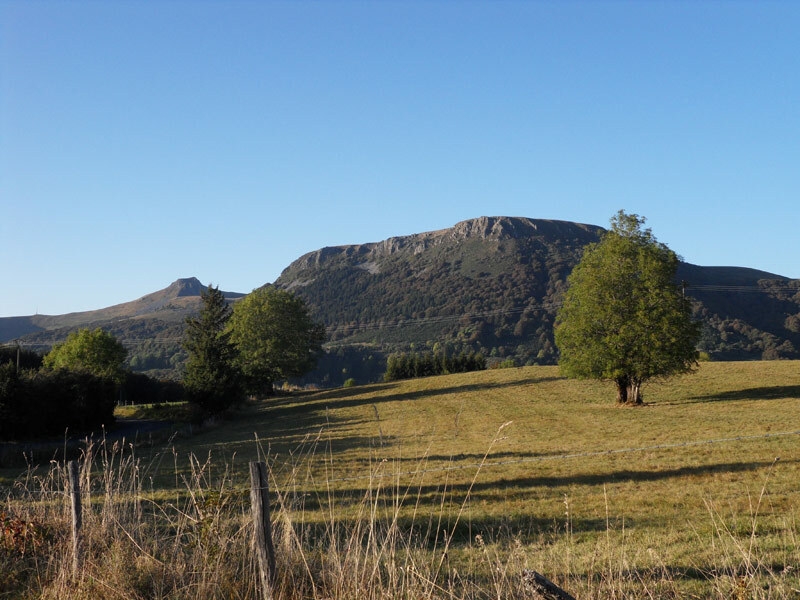 To the south : The Cézallier plateau and the mountains of Cantal. 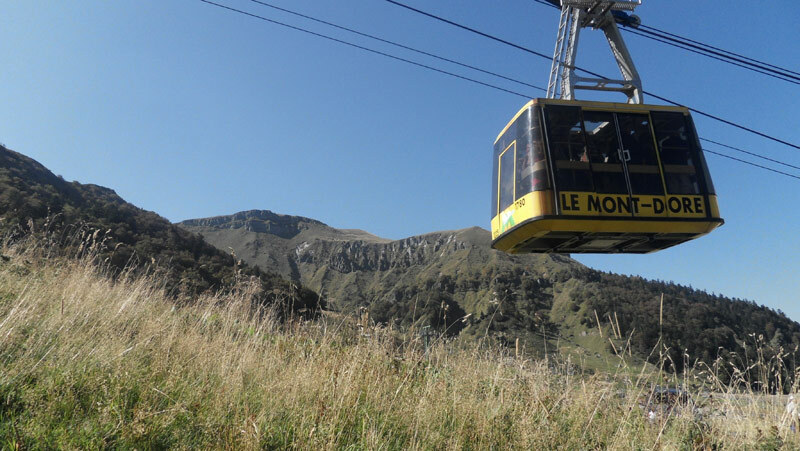 See the Puy Mary and the green valleys. 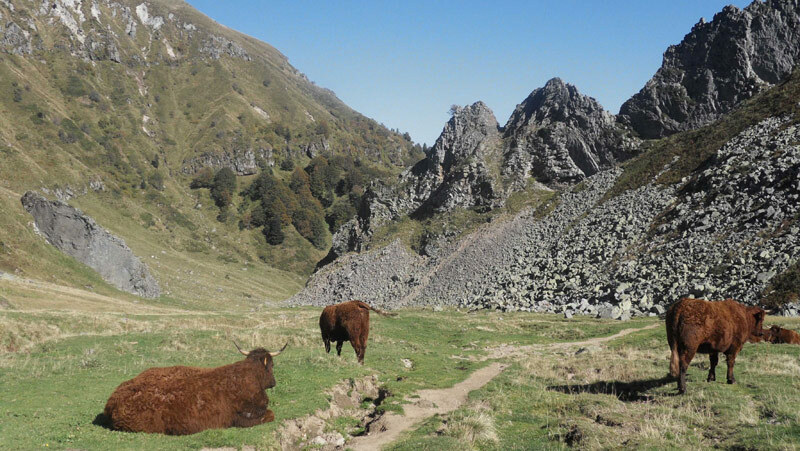 Sheep and cows of the Salers race (red haired species with large horns) and of the Aubrac race (a small cow with a beige colour) participate actively in the maintenance of the mountain pastures of the volcanoes of Auvergne.